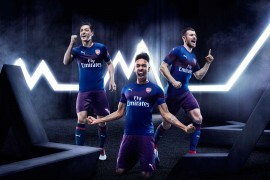 PUMA have revealed a brand new colourway for their most powerful football boots to date, which will be debuted by Cesc Fabregas this weekend as Chelsea take on Manchester United. 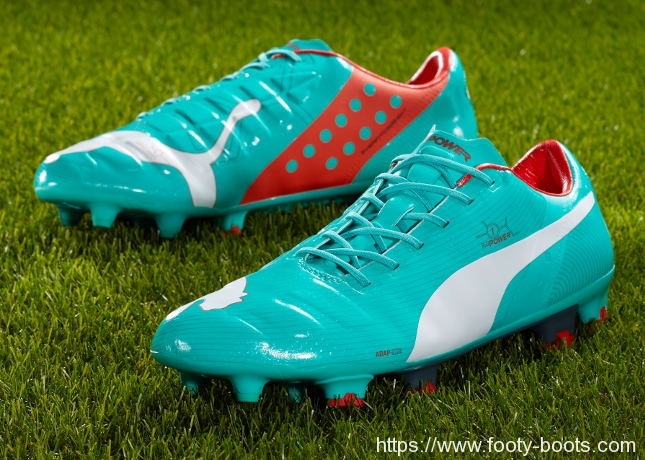 The PUMA evoPOWER 1 – Pool Green / White / Grenadine offer up something a little different to the last two main ‘fluo’ colourways we’ve seen on the evoPOWER, whilst still being striking in their own way. Speaking of striking, that’s exactly what the evoPOWER is best at. 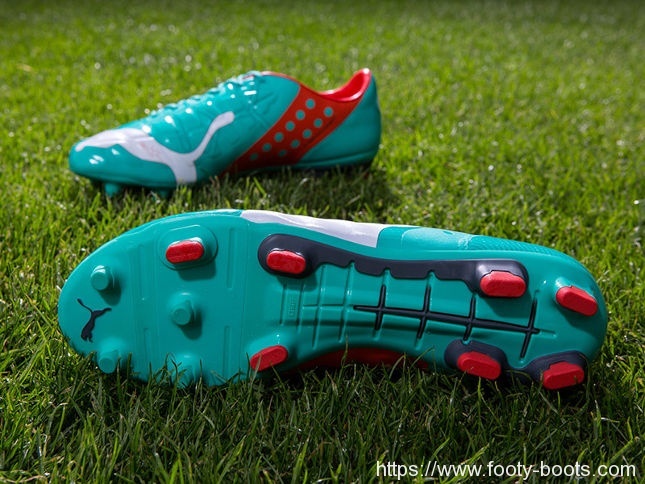 PUMA have packed the PUMA evoPOWER 1 – Pool Green / White / Grenadine full of proprietary technologies to boost striking power. 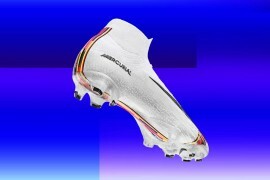 The pods you see across the upper of the boot are Accufoam, allowing the boot to flatten against – and fill in – the contours of the foot, to provide a consistent contact surface when striking the ball. 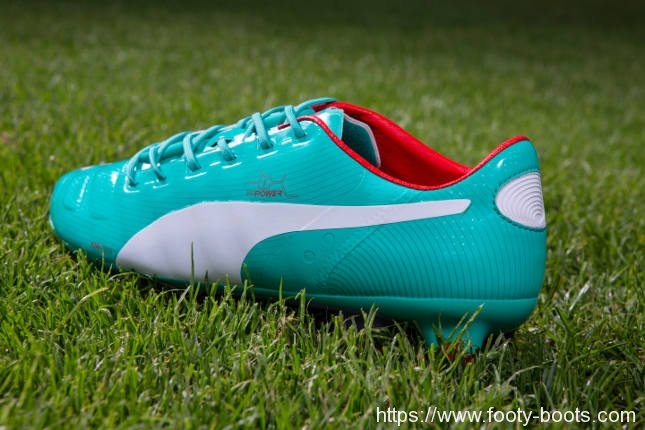 But the real clever features of the PUMA evoPOWER 1 lie in the clever symbiosis of the upper and soleplate. PUMA’s research concluded that kicking the ball barefoot actually generates the most power. So, to mimic that, PUMA created the Adap-Lite Upper and Gradual Stability Frame (GSF). As the foot strikes the ball, the Adap-Lite upper stretches as the foot makes contact, but only in one direction; downwards. As the upepr stretches and the foot bends against the surface of the ball, the Gradual Stability Frame bends backwards, too – allowing the foot to curve as it would when barefoot and generate more power than other football boots. Also present are the everFIT Cage-EXT – an external stability system – and a unique stud configuration designed for maximum traction when striking. As mentioned a little earlier, Cesc Fabregas will take to the pitch this weekend in the PUMA evoPOWER 1 – Pool Green / White / Grenadine, as his Chelsea side take on Manchester United. 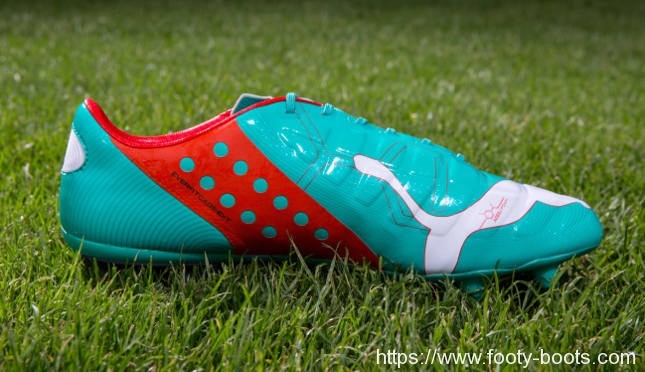 The colourway will be exclusive to the Spanish playmaker for this weekend, with other PUMA evoPOWER players – including Mario Balotelli, Diego Godin, Nemanja Matic and Dante – all joining him next weekend. 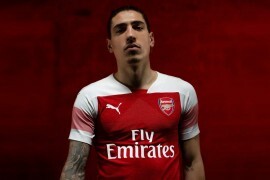 “It is always a great honour to be the first player wearing a new boot, so I am very pleased that PUMA gives me the chance to present their latest work to the world this Sunday. It is an important and big match for us against Manchester United, and I hope the boots support me to perform well. 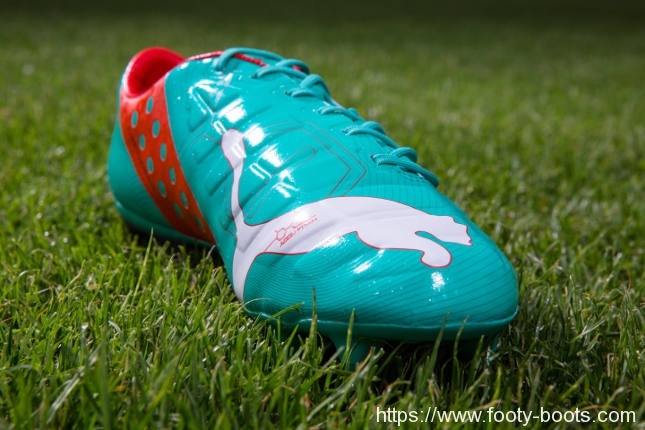 The newPUMA evoPOWER 1 – Pool Green / White / Grenadine will be available globally in-store from Saturday, 1st November. A full colour matching collection that features apparel products, indoor sports footwear, and accessories like shin pads and balls, launches simultaneously, too. Thoughts on the latest colourway from PUMA? still really fluorescent, but I like it somewhat better than the other two colorways.